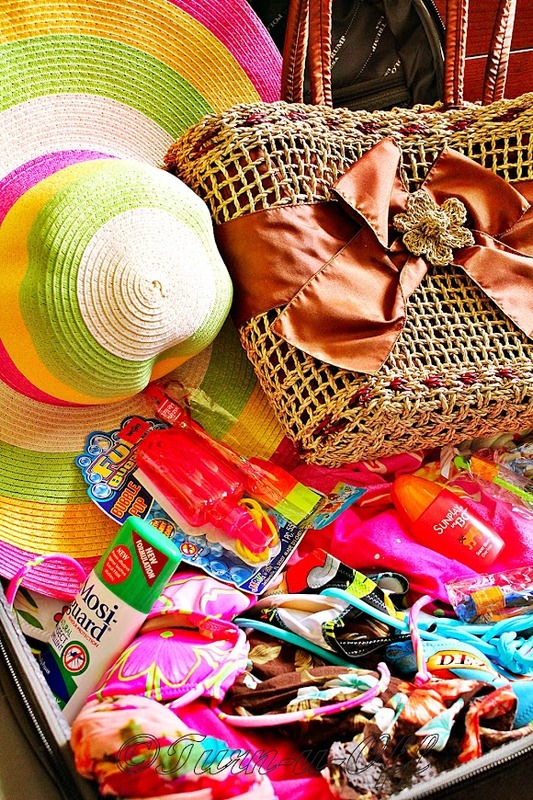 I just threw a bunch of beach essentials that I'll need for a 3-day weekend getaway into my suitcase. Woohoo, mission accomplished! Beach tote, wide-brimmed sun hat, flip-flops, dressy sandals, sunglasses, sundresses, sunscreen, pareos, swimsuits, lotion, insect repellent, toys, book... hmmm, are there any essential items I missed on my packing list other than basic toiletries and camera? Tonight, I'm heading somewhere with a beautiful body of water and beach, just in time before the monsoon season essentially closes the island to travelers from November to March. Oh, I heard this place is also a snorkeling and divers paradise! Okay, enjoy your weekend everyone! I'll see you back here again on Monday. where are you going dearie? east coast? so nice.. enjoy your weekend ya.. and dont forget lip gloss.. very drying the beach!! Wowww!! That sounds like soooooo much fun!! Love your wide brimmed hat!! So gorgeous! It looks like you've got everything covered already! So what's it gonna be? Perhentian, Tioman or Redang? I see lots of itsy bitsy teeny weeny bikinis!! So mesti come back with plenty of sexaayyy pics again! hahaha at least once a year, no? I think if I were on the beach, I would end up looking like a beached whale.. so no thank you, bikinis. LMAO!! Anyways, I know you're gonna have TONS of fun! But i'm gonna say HAVE FUN, all the same! Take care sweetie!! Have a safe trip! Yeay holiday by the beach.. Ohsem! I'm sure people's will stop and stare at you and your beautiful bod! Hehehe..